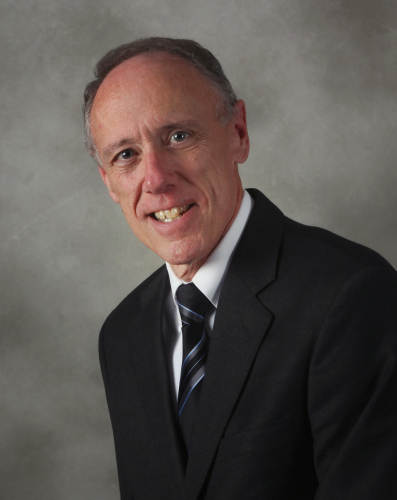 Brad Smith has over 40 years of experience in the funeral profession. He is a native of George, Iowa, where he graduated from high school in 1972. He continued his education at Wayne State College in Wayne, Nebraska before graduating from the Dallas Institute of Mortuary Science. Brad is a Certified Funeral Service Practitioner (CFSP), a Certified Bereavement Facilitator/Counselor and a Grief Support Group Facilitator. He is a member of the Iowa Funeral Directors Association (IFDA) and serves on the IFDA Executive Committee and Board of Governors, is an IFDA representative on the National Funeral Directors of America Policy Board, a Board Member of Funeral Services of Iowa, a past IFDA President, member of the IFDA Legislative Committee; and an Ad-Hoc Committee member for the Award of Excellence. Locally, Brad is a member of the Storm Lake Rotary Club. Brad and his wife, Joy, attend the Summit Evangelical Free Church in Alta where Brad serves on the Elder Board and they both participate on the worship team, teach Sunday School, on the church Prayer Team and are Kids for Christ leaders. They are the parents of three children: Matt and his wife, Yvonne, Smith of Sioux Falls, South Dakota; Michael Smith of Marion, Ohio; and Sean and his wife, Jaclyn, Smith of Rock Valley, Iowa. They are the proud grandparents of Kinsey, Aly, Jacob, Carson, Adelyn, and Caden and great grandparents to Seth and Callie. Joy is an Avon Representative and also works in a support staff position at Sliefert Funeral Homes.